iOS 11.4 contains improved security, compatibility and stability of the devices. It's also the first update that enables you to save your iMessages on iCloud allowing users to store their messages in their iCloud accounts for easy synchronization across devices? Since the public release of iOS 11.3.1, iOS 11.4 was in development for more than a month and is now released in public. iOS 11.4 contains improved security, compatibility and stability of the devices. It’s also the first update that enables you to save your iMessages on iCloud allowing users to store their messages in their iCloud accounts for easy synchronisation across devices? After upgrade to iOS 11.4, users will be prompted to turn on the Messages in the cloud feature when they open the Message app on their device. Users who opted for two-factor authorization will notice that this feature is enabled automatically on their devices along with iCloud backup. 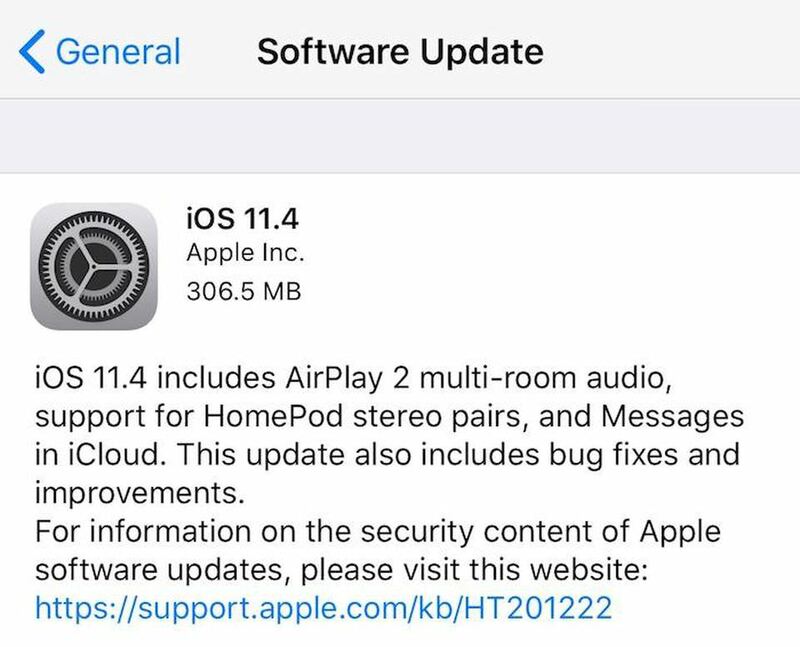 iOS 11.4 also contains another much-anticipated AirPlay 2, that adds the functionality of pairing Stereo and Multi-room audio support to Apple’s HomePod smart speakers. These features are available on iPhone, iPad and Apple Tv devices. This feature was delayed by Apple for some time as more time was required to test this functionality. 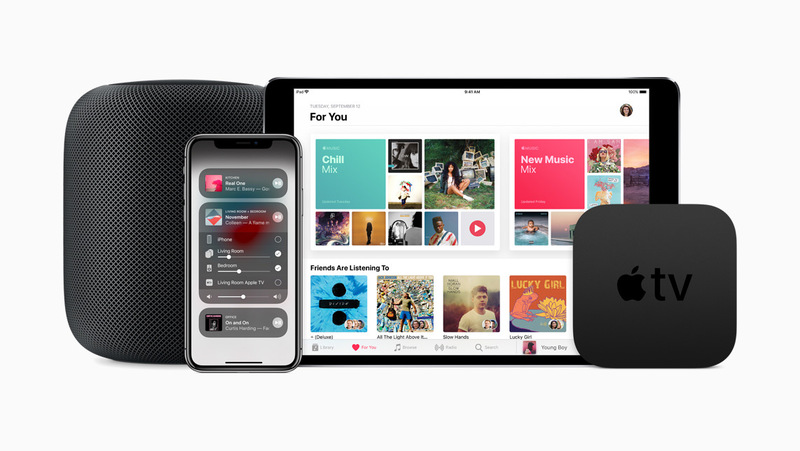 Airplay 2 enables users to control and play AirPlay 2 enabled devices across their houses and let them control these devices from the control center or lock screen on iPad and iPhone. The user can also control the devices via Siri from iPad, iPhone, HomePod and Apple Tv without interrupting playback users can use this function to take calls or play video games. This update is recommended for all iOS users. iOS 11.4 also brought the new feature that adds an ability for teachers to assign reading activities to their students using iBook apps or via Schoolwork app., iOS 11.4 also fixes an issue where iMessages crashes when sending certain characters, and another iMessage error where some messages could appear out of order. Other issues that are fixed with iOS 11.4 are. Google Drive and Gmail in Safari web browser. An issue that prevents data sync in the health app. An issue where sound becomes distorted in CarPlay. A health issue that won’t let users switch to another app and access the data. An issue of selecting Music in Apple Music app while playing the music over blue tooth. Apple urged all previous version users to update their devices to iOS 11.4 as soon as possible because it not only brings new functions for your iOS devices, but it also contains several security and performance improvements that will make your device more secure, reliable and stable. This update is available for download and installed through OTA (Over-the-Air). iPhone X, iPhone 8, iPhone 8 Plus, iPhone 7, iPhone 7 Plus, iPhone 6s, iPhone 6s Plus, iPhone 6, iPhone 6 Plus, iPhone SE, iPhone 5s, 9.7‑inch and 12.9‑inch iPad Pro, 2nd generation 10.5-inch and 12.9-inch iPad Pro, 5th and 6th generation iPad, iPad mini 2, iPad mini 3, iPad mini 4, iPad Air, iPad Air 2, and 6th generation iPod touch. Support for ClassKit: Apple’s framework for helping developers make their educational apps work with Apple’s school-based software, including the Schoolwork app. 3D touch lag was fixed. PrevPreviousAccess All The Nvidia Geforce Now Included Games On Nvidia Shield TV For Free.